One serious consequence for those convicted of DUI in Los Angeles is the loss of their licenses. If a breathalyzer, blood test or urine test show that a person is operating a vehicle with a blood alcohol content of 0.08 or greater, the California Department of Motor Vehicles will automatically suspend that person’s license for four months (for a first offense) or one year (if it is a second or subsequent offense within a 10-year period). Drivers are entitled to request an administrative hearing to appeal that decision, but they must do so within 10 days of the time they receive the suspension order. Oklahoma has a similar law and also allows those arrested on DUI charges to appeal their license suspension. But the Oklahoma Department of Public Safety (DPS) has been falling behind on license revocation hearings; motorists who want to appeal their loss of a license must wait anywhere from 13 to 19 months to get a hearing date. The Oklahoma Court of Civil Appeals recently ruled that is too long a wait. 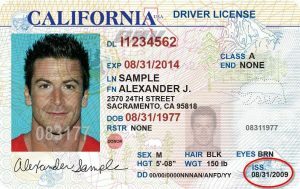 It ordered the DPS to dismiss the license revocation actions against 20 drivers. Legal observers say that this ruling could open the floodgates, voiding the license revocations of hundreds of other accused DUI drivers who have not received a prompt hearing. The Oklahoman newspaper reports that DPS has blamed budget cuts for the big backlog. While it holds administrative hearings on most workdays, DPS says it simply does not have the staff nor the computer system to process hearing requests more quickly. The DPS said police sent it 21,391 cases involving license revocations last year, and more than half of those (13,144) requested an administrative hearing. But the agency only had the resources to hear 3,064 appeals during that time.